I love to code I love art, and I loooove MINECRAFT! 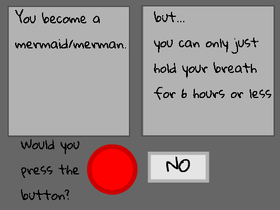 I have posted the would you press the button. But it is not finished so its kinda like a sneak peak. Would you Press the Button? can we get 1,000,000 projects before 2019?